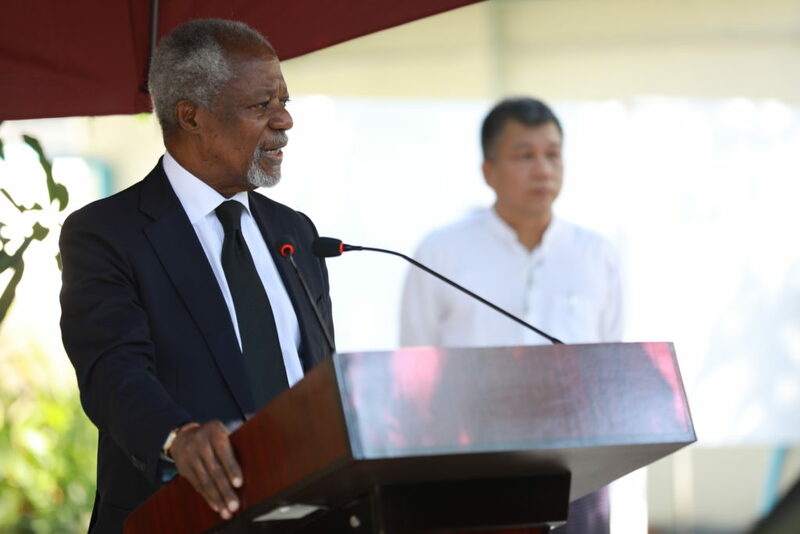 This statement was released by Kofi Annan following a one-week visit of the Advisory Commission on Rakhine State in Myanmar. We have since September met with a host of youth groups, community leaders, parliamentarians, women groups as well with the Government that mandated us to carry out our work. Our discussions focused on the reconciliation among the communities of Rakhine, freedom of movement, citizenship verification, and economic and social development of Rakhine state. We also spoke about the preservation and promotion of the rich cultural heritage of the state. We discussed these issues with the President, and, earlier today, when we met with the State Counselor and the Commander-in-Chief. Let me at this stage remind you that our mandate is to submit recommendations to the Government on how it may promote reconciliation, strengthen local institutions, advance development, resolve conflict, and provide humanitarian assistance, in Rakhine State. The recent violence in northern Rakhine underlines the importance and immediacy of the Commission’s task. You may be aware that we visited parts of northern Rakhine affected by the recent violence as well as areas that remained peaceful, a few days ago. We are deeply concerned by the reports of alleged human rights abuses. We stressed in all our meetings that wherever security operations might be necessary, civilians must be protected at all times and I urge the security services to act in full compliance with the rule of law. We also stressed that security operations must not impede humanitarian access to the population. We have been given the assurance that humanitarian assistance is allowed access and trust that all communities in need will receive the assistance they require. Let me conclude by saying that we were encouraged by the cooperative spirit of the younger generation. We are here to listen to the needs and concerns of all people of Rakhine state and to give them a voice.